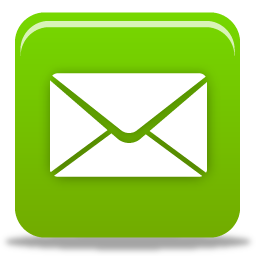 TREES BY MIKE, Inc. is committed to providing our customers comprehensive and up-to-date tree care information. This calendar will help you decide when to take appropriate action with the different types of trees here in the valley. January is the time to trim all deciduous and fruit trees including; ash, elm, flowering pear and stone fruit such as peach, plum and pear. Orange trees can be pruned in the latter part of January with fruit being ready to pick. It is also time to apply fertilizer. Cover your small citrus, ficus, small palms and other frost-sensitive trees. It's about to get cold. Oil based trees such as Eucalyptus, Sumac, Willow, and Olive can be pruned at this time of year. Set an appointment now to get that Pine Tree cleaned up. Wait for heavy citrus pruning until after February 7. We've had 2 years in a row with the last freeze in early March so we keep our eye on the 30 day. Large limb removal should be done at this time of year. Shrub hedges such as Texas Sage can be cut back now. Pruning now gives new growth time to set as summer will be here soon. Spray olives late this month and next up until the temperature reaches 90 degrees. Now that the soil is warming, lets get that Pine Tree healthy. Does your Pine have yellow or orange areas? It can be saved. Be sure and call for an appointment. We have a 3 month program that will help regain its health. Your Mulberry Tree should be done now if you want them nubbed back. Its warming up, lets get the Pines, Silk Oak, Italian Cypress and the rest of the evergreen family taken care of. All sun-sensitive trees should be taken care of by the end of this month. If you wait any longer, pruning should be light. Be sure to wrap the trunks of citrus and other younger trees with tree wrap or paint your trunks with a white waterbased paint. Sunburn is the first step to losing your tree. Queen Palms need trimming now. Pods should be out by the end of the month. Apply fertilizer with high manganese. These are tropical trees, not desert trees so extra care is essential. Sandy soil and water 3x a week is preferred. We still have time to fertilize all trees. Mulching or Organic Gem is a good choice to amend your soil. Is your irrigation system working? How does the Pine Tree look, we should see new growth now if we started treatment in Feb. Planting time is ideal now. Planting or transplanting is best when the soil temp is constantly above 40 degrees. Lets move on to trimming our desert trees now. Mesquite planted in grass will start filling out. Thinning and weight reductions on the lateral limbs will help as we move towards summer. Thin all Palo Verde, Palo Brea, Ironwood, Acacia, etc. Lion tailing is a common practice in California along the coast, not here in the desert. We continue pruning and weight reductions in anticipation of the monsoons. Tree canopy can remain the same size as long as proper pruning is done. Properly choosing which limbs to remove is why you call me. Mid May and its already time to start trimming Palms. The Canary Island Date and Dactylifera palms are usually ready for trimming by the 15th. The longer you wait, the more it could cost. Date groups can weigh up to 200 lbs each. Fertilize all trees again. Eucalyptus and Mesquites need thinning. 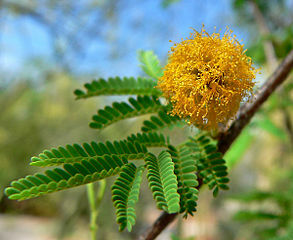 Mesquites start losing their leaves if left unattended, with the flower drop this is a bad combination for pool filters. Don&apos;t burn out your pool pump. Mexican Fan palms (small trunk diameter) will be ready to trim the first week if not sooner. Sometimes we have perfect weather, early rains and lots of heat. We will pull pods out of Queen Palms again, late bloomers. Continue trimming for monsoon season&semi; it&apos;s right around the corner. Some people ask about staking trees now, but with proper pruning I think they are unnecessary. Special circumstances such as your tree uprooting may require cables. Its better to stay ahead of the game with pruning. 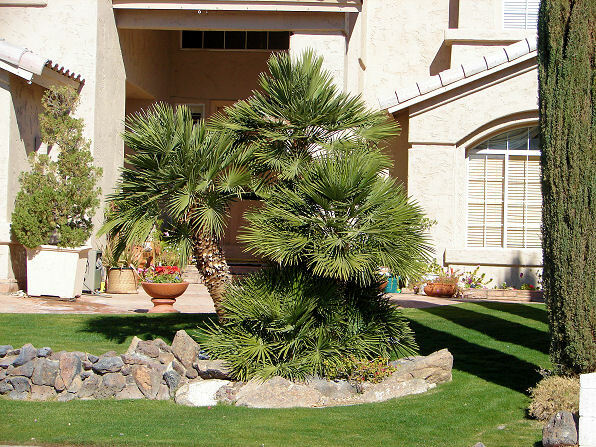 Like May, June is a great time to alleviate end weight on your trees before the monsoon winds arrive in July. 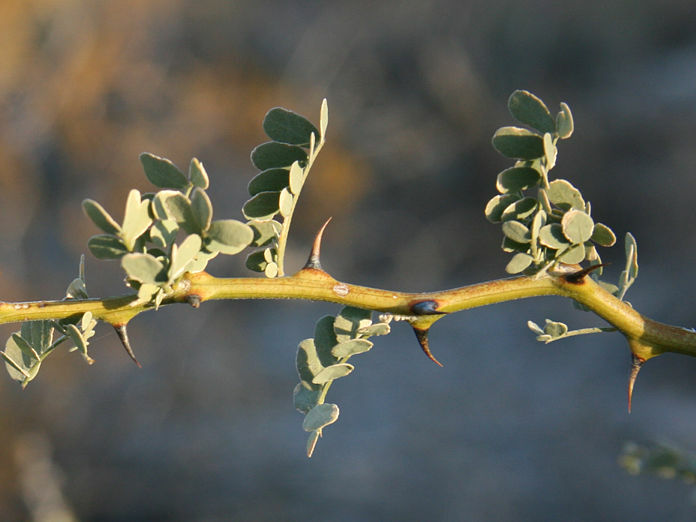 As you'll see in the July/August section we recommend late summer pruning of Mesquites and other vigorous tree varieties. Just be careful not to wait too long to prune them. If your trees look heavy, especially at branch ends, it may be best to prune sooner than later. California Fan Palms (large base trunks) are ready for trimming usually after the 1st week of July. Don&apos;t wait too long after the first pod has opened. Prune Chinese Elm, Sisso, Mesquites and Eucalyptus trees now if you haven't pruned them yet. Temperatures are starting to drop and it&apos;s time to fertilize again. 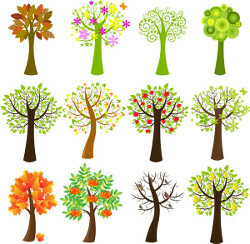 Later part of the the month is a great time to plant new trees and shrubs. 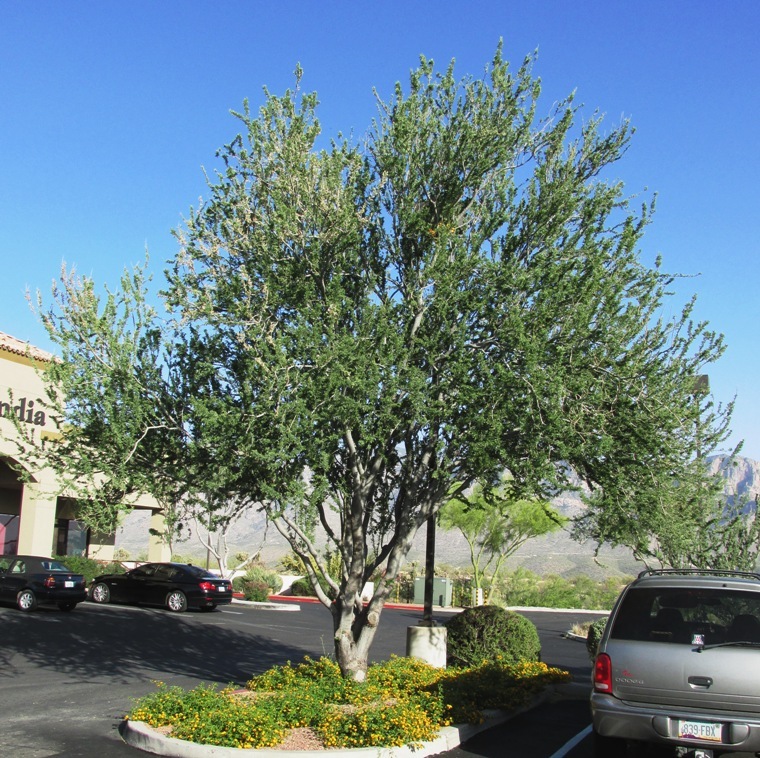 If your larger desert trees haven't been pruned, there is still time to get them done and still fill out for winter. Have your trees prune before you seed your winter grass. Composting or soil injections with Organic Gem will help to put nitrogen back into the soil for good winter root growth. This is the last opportunity to get some heavy pruning done. Soon winter will be here and your trees will need a good coat. Planting and Transplanting can still be done thru October. See you in Glamis for the Great Pumpkin Hunt. Temperatures are dropping, sap flow is slowing. It's time to start scheduling those Pines, Silk Oak, Italian Cypress, Mulberry, Juniper, Olive and Pecan. Get your holiday pruning scheduled as well. This time of the year we all want our yards and trees looking their best. Deciduous trees are starting to drop leaves so start a compost pile. Happy Thanksgiving!!! Continue trimming Pines and the above mentioned. Start thinning all deciduous trees. If you&apos;re going to have a tree removed, now is the best time to do that. Merry Christmas and we will see you next year!!! 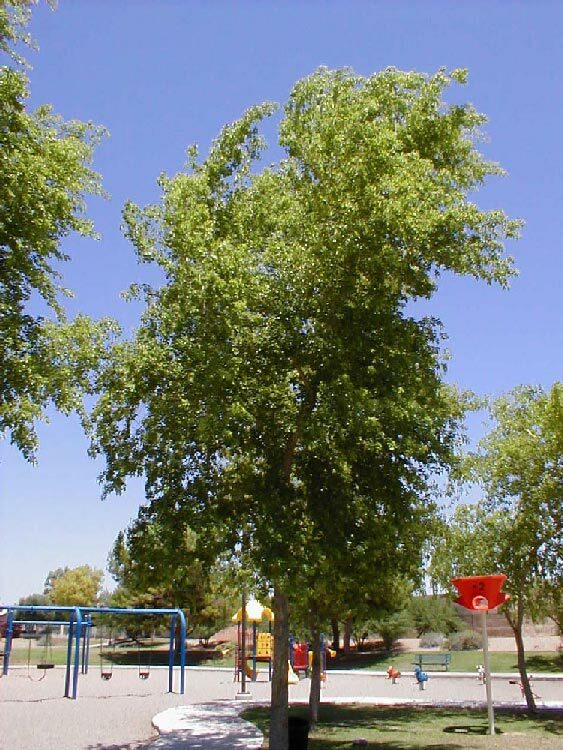 The Arizona Ash is native to Arizona, so it is very well suited to prosper in desert environments. 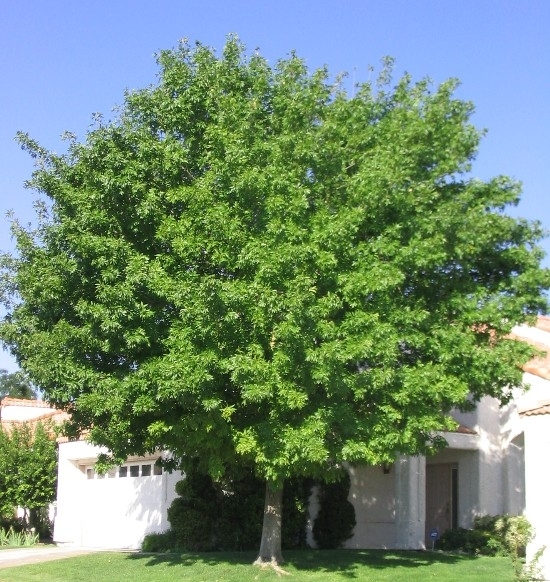 The deciduous nature of this tree allows for maximum shade and protection in the summer, and allows the landscape sunlight during winter, letting your landscape breathe during ideal growing temperatures. 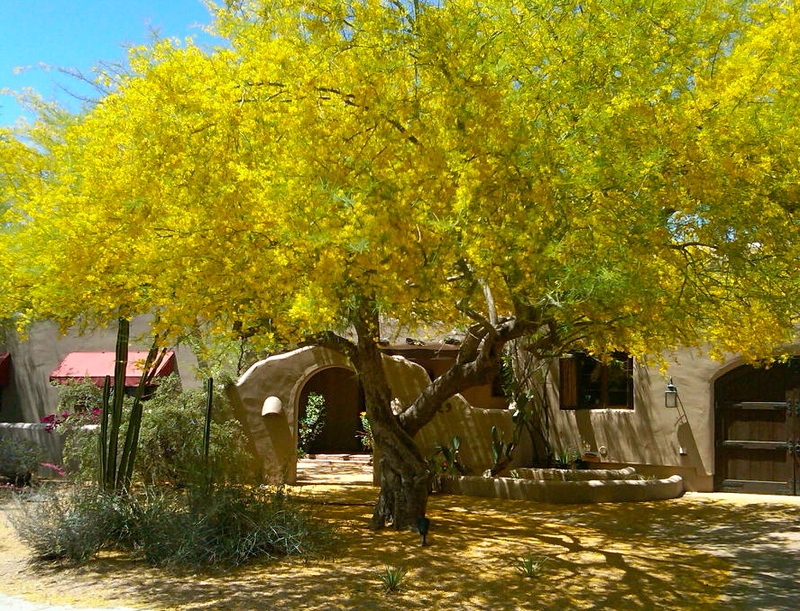 Native to the Sonoran Desert, palo verde (Cercidium floridum) is a relatively small tree that can reach a height of approximately 32 feet and a trunk diameter of 1.5 - 2 feet. 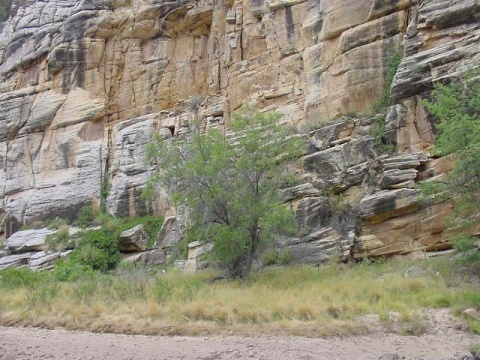 This tree has a deep root system which allows it to tap into the ground water and survive periods of extended drought and withstand severe flash floods (which occur often in desert washes). 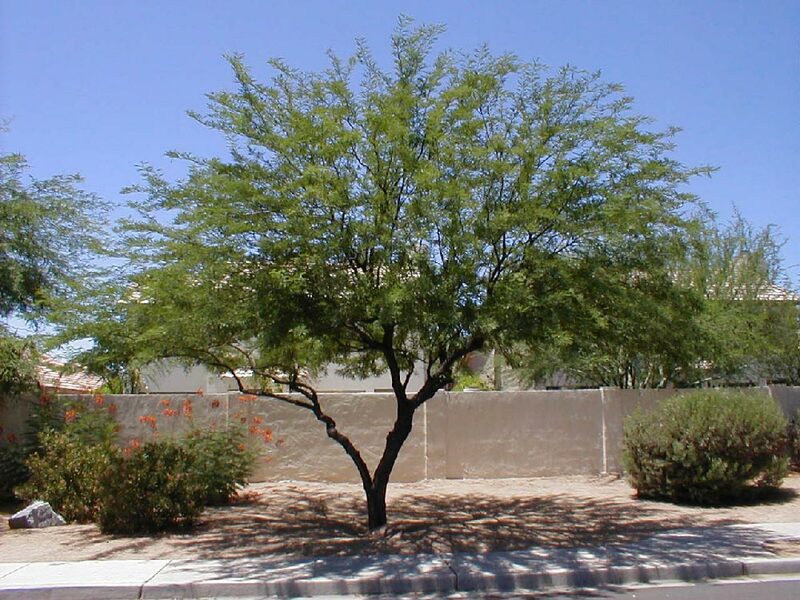 Ironwood trees are known for being exceptionally desert hardy, known to handle extreme droughts and most inclement weather. 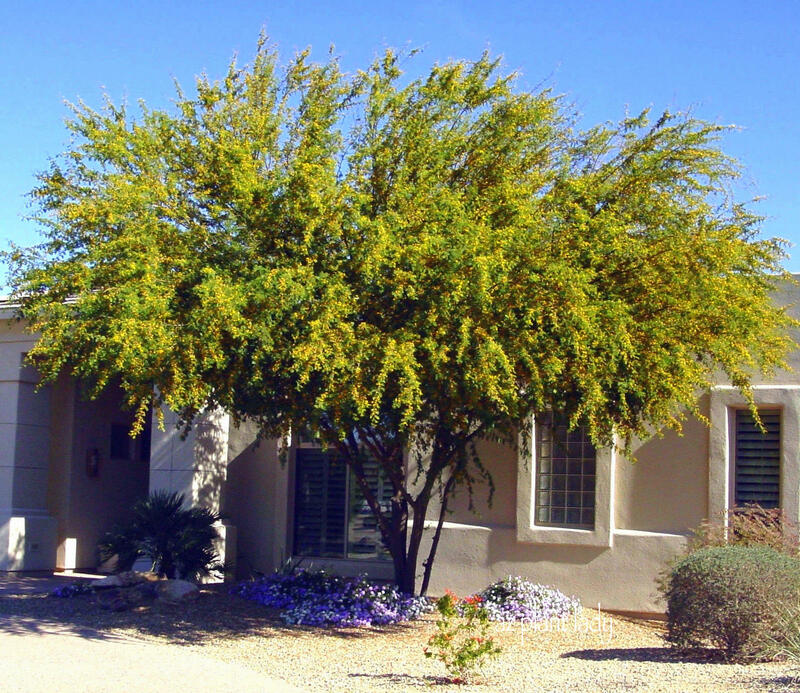 The Ironwood tree is a favorite to both homeowners and commercial properties alike, and is often used in landscape designs as a focal point or specimen tree. 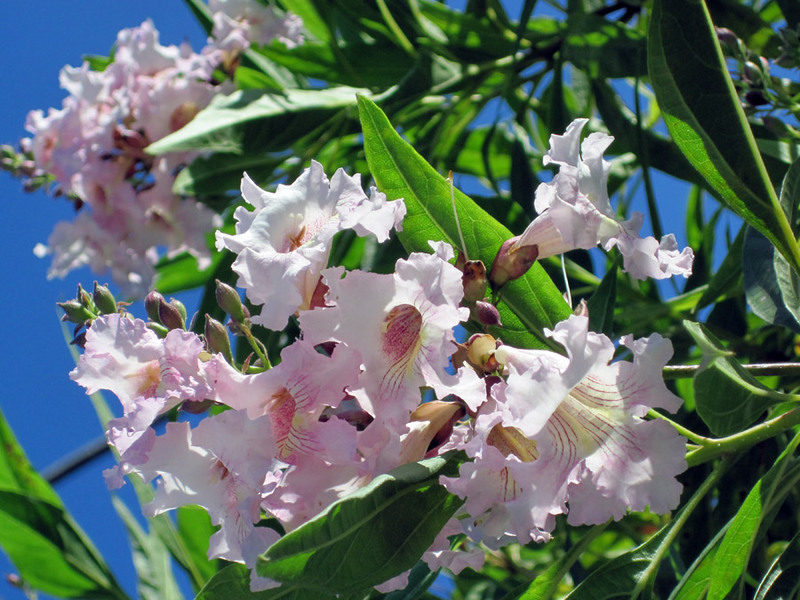 Named for its resemblance to willows, the Desert Willow is a popular ornamental tree is actually related to catalpa trees. 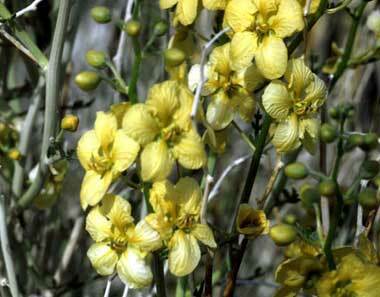 Its exotic-looking blooms, rapid growth, drought tolerance, and ease of maintenance have made the Desert Willlow a long sought-after plant in the Southwest. 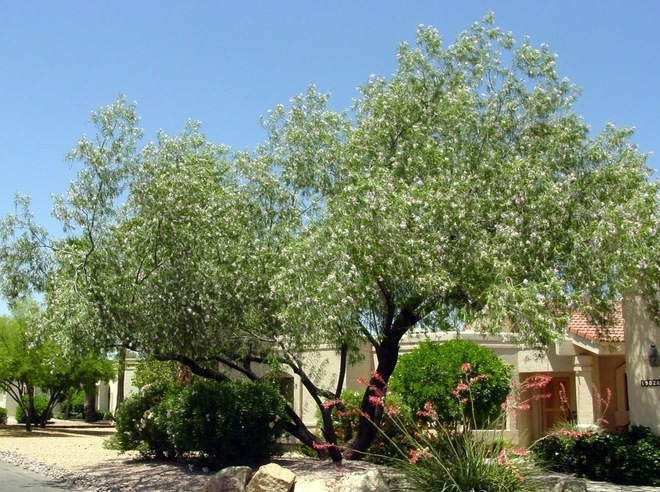 The Chilean Mesquite is easily one of the most recognized trees across the southwestern U.S. Prized for its fast growth rate and simple greenery, Chilean Mesquites are commonly seen in many landscape designs. Because of it's unique appearance, with dark, horizontal twisting branches, Chilean Mesquites stand out clearly from typical Sonoran landscapes. Sissoo trees keep their leaves all year, making them an excellent choice for both shade and privacy. 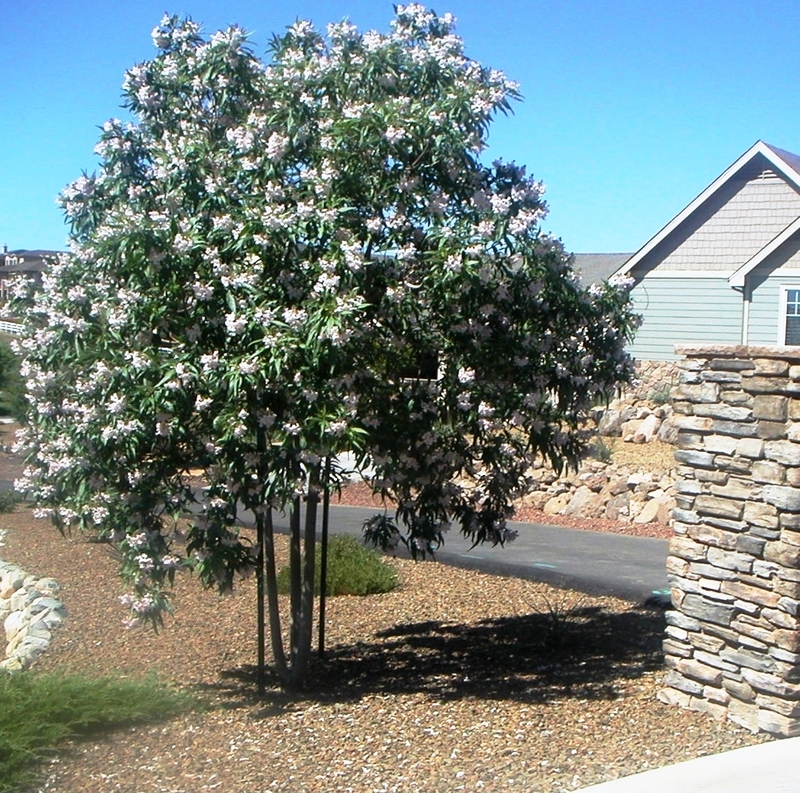 Whether you have a desert style landscape, Mediterranean style or even classic style, Sissoo trees will get the job done! Chitalpa trees stay at a medium size and work very well when planted either by itself or in rows. 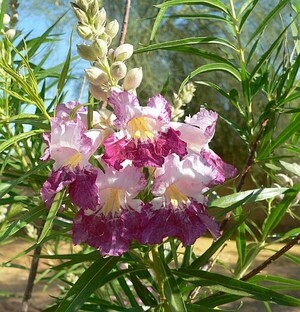 The Chitalpa is a flowering desert tree that is well adapted to the Phoenix growing environment, so it's a great choice for adding green and flowering blooms to your desert landscape. Fragrant ash has white flowers that are very fragrant - the only ash with this kind of flowers. It is more shrubby than tree like and has long thin leaflets on compound leaves. 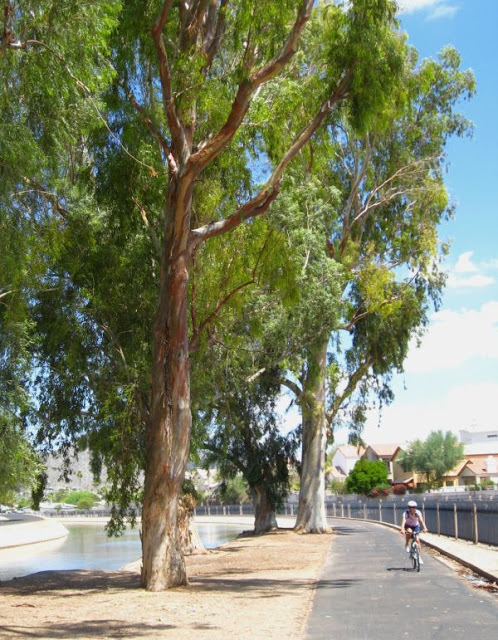 Eucalyptus trees have been grown in the desert for many decades. 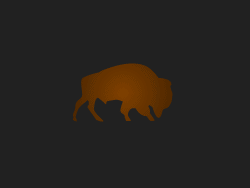 Sizes can range from medium to very large. Nearly all Eucalyptus are considered fast growing. Eucalyptus trees mostly grow with more height than width. Eucalyptus trees that are commonly grown in our area are evergreen and feature that refreshingly clean Eucalyptus fragrance. Ideal for patio or side applications where larger trees won’t fit, the Sweet Acacia performs very well in a variety of environments due to its smaller size, yet works well as a focal landscape tree due to its vibrant appearance. The Sweet Acacia presents a thick canopy with dark green leaves and a rich, dark brown trunk that may even reach black in appearance. Queen palms have long been a fantastic choice to bring a tropical appeal to just about any landscape. Piru Queen Palms are now the benchmark for both durability and appearance when it comes to Queen Palms. Mediterranean Fan Palms are some of the most durable palms known. They absolutely thrive in intensely hot locations, require minimal water for a palm and survive our periods of freezing weather with little or no damage. Keep in mind when choosing your trees that supplemental irrigation is a must for most trees. Heat loving trees like Palo Verde, Ironwood, Desert Willow, Chilean Mesquite, and Sissoo are good choices for our subtropical climate. 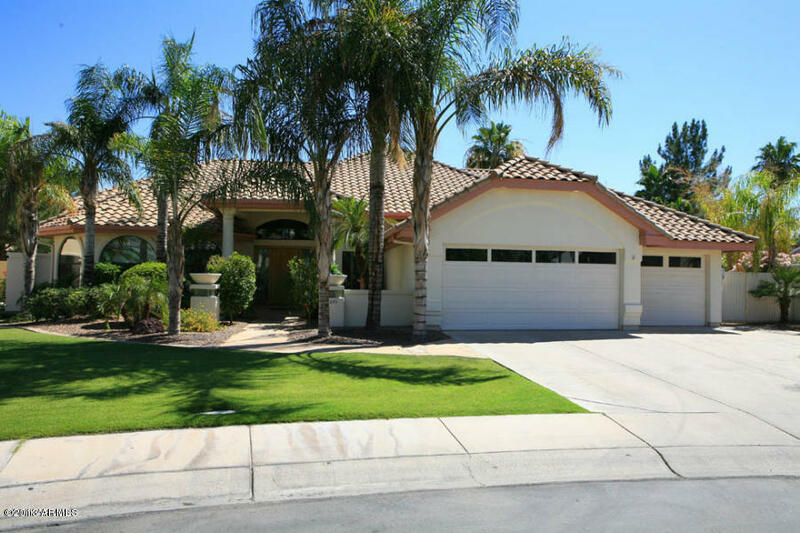 Other varieties native to Arizona or suitable for our climate include Chitalpa, Sweet Acacia, Arizona Ash, Fragrant Ash, Eucalyptus, Queen Palm, Canary Island Date Palm, Mexican Blue Palm, and Fan Palms. Great Western Sales provides an economically viable alternative to synthetic fertilizers and growing methods. We are proud to say Great Western Sales is our supplier of Organic Gem products and supplies.